Homemade fudge pops that are as healthy as they are delicious! Totally sugar-free, and so creamy and chocolate-y, they taste like frozen chocolate pudding. At only 1.6g net carbs, they make a wonderful low carb treat for summer. Instructional video included. 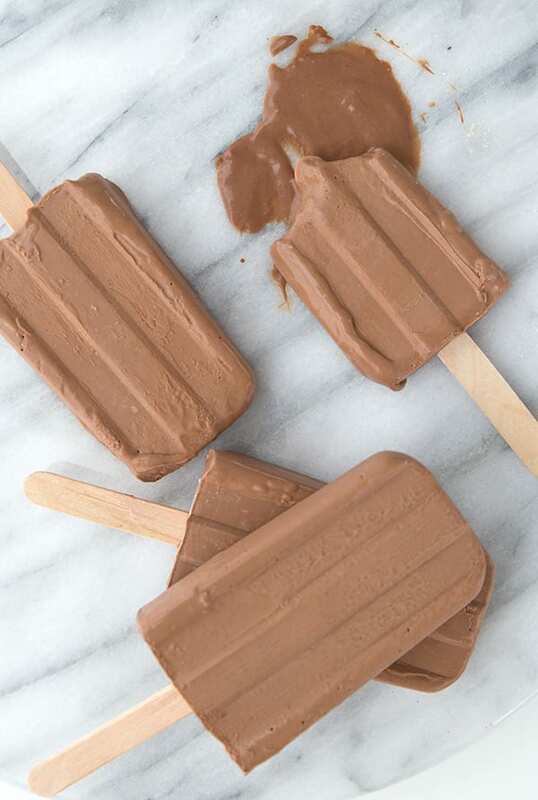 These sugar-free fudgsicles are an updated version of one of my favourite older recipes. 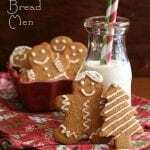 They are so easy to make and my kids absolutely love them. 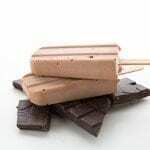 The original recipe was made with peppermint extract, which is absolutely delicious, but you can also make them with vanilla extract for a more basic fudge pop recipe. And I’ve included a video so you can see just how easy these delicious keto popsicle are to make! You know, I make a lot of great recipes. I don’t really believe in false modesty, but nor do I want to be boastful. Still, I know I’ve become pretty adept at working with low carb and gluten-free ingredients, and creating some goodies that taste just as good as the conventional version. I’ve gotten to the point where much of it is intuitive for me. I have a good sense of how almond flour will behave if I add this many eggs or that much butter. Or if I add cocoa or chocolate. I daresay I’ve actually gotten better at creating low carb recipes than traditional ones, and on the rare occasion that I am attempting something with flour and sugar, I find myself a little lost. Every now and then, however, I drop any pretense at modesty and I have to declare myself an outright genius. Because sometimes a recipe turns out so well, my own jaw drops. And then I have to do a happy little jig and sit down at my computer to write about it. This is one of those recipes, and quite frankly, the results were about 10x better than I was expecting. I’ve attempted fudgsicles before and have never really been that impressed. 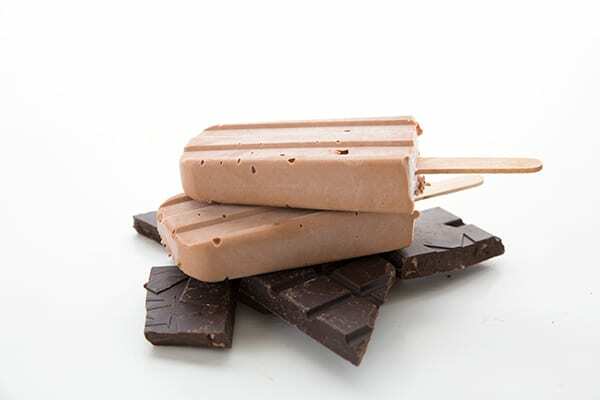 My Chocolate Yogurt Pops were pretty great, but they were definitely more along the lines of frozen yogurt than fudgesicles. But these were spot on…rich, chocolate-y, creamy and sweet. I hadn’t really been intending to make fudgsicles; they were actually born out of an excess of cream. I took my girls to a nearby dairy and bought some of their heavy cream, when I realized I still had quite a bit of cream in the fridge. Since I didn’t want any of it to go bad, I had to come up with a cream-based recipe pretty darn quick. Lots of possibilities crossed my mind, but it was a hot day and treats of the frozen variety seemed apropos. And I just didn’t feel like hauling out the ice cream maker and putting in the effort of making a custard base. I did a little search on homemade fudgsicles and came across several possible recipes. As always, in the end I mingled a few recipes and did a little adjustment here and adjustment there and ended up with my own creation. And I have to say that, although you could flavour these with anything you like, the peppermint was an inspired touch on my part. These taste like a frozen version of a chocolate bar I loved growing up called French Mint, the perfect intersection of chocolate and peppermint. At the same time, I think that the base recipe has great potential and I can envision some coffee flavouring for a mocha version. I also have another idea in mind for these but I can’t share just yet because it might warrant a blog post of its own! Suffice it to say that these are so good that I’ve already made them 3 times in the span of two weeks. My kids adore them, rave about them, go wild for them, and I feel perfectly happy serving a sugar-free popsicle to them for dessert every night of the week. 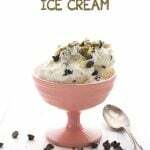 A creamy frozen low carb treat. 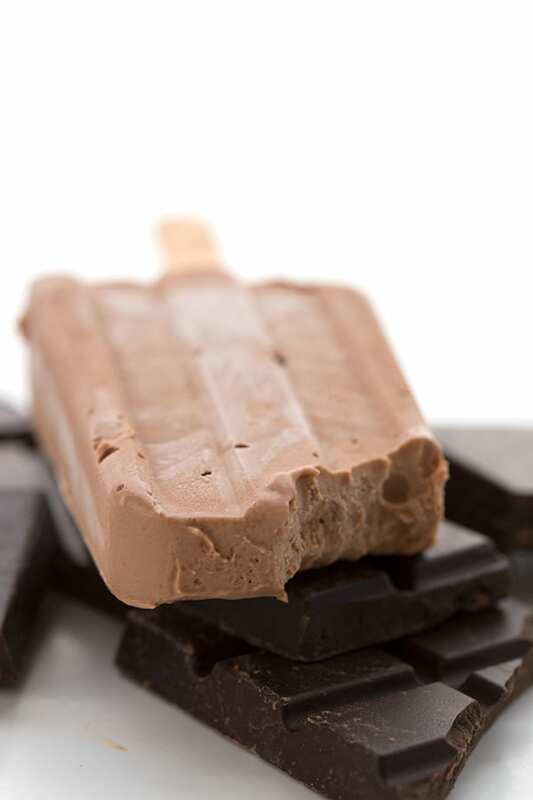 These chocolate mint pops taste like frozen pudding! 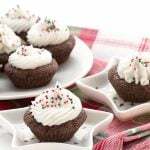 In a medium saucepan over medium-high heat, whisk together milk, cream, Swerve, and cocoa powder. Bring to a boil and cook one minute, stirring continuously. Remove from heat and stir in peppermint extract. Sprinkle with xanthan gum and whisk briskly to combine. Let mixture cool at least 10 minutes and then pour into popsicle molds. Freeze 1 hour, then push wooden sticks partway into popsicles and return to the freezer (wooden sticks are best for staying in the pops when you take them out of the molds). Freeze until solid, about 5 more hours. I agree that you are making really great stuff! And most importantly it is healthy. I love the photo of the two girls eating them. Adorable! And I’m saving this recipe, it looks so fun for summer. Ooooo, I want one!! Bad! I am going to make these today 🙂 I actually made low carb brownies yesterday that came out really well. I think I did a happy dance of my own!! 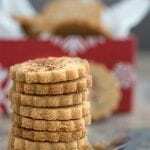 Q…reading some of your earlier posts you talk about not having achieved that crispy and chewy texture in a cookie. Have you yet? Just wondering if you’ve posted it and I missed it? Have a great day!!! I’ve been OBSESSED with pops lately! Thanks for sharing this recipe!!!!!!!! I’ve been dreaming about pudding pops lately. These would definitely satisfy that craving! the photo of the girls eating the ice-cream is just precious. ha! ha! Can’t wait to see you do your happy dance! I’ve done chocolate frozen yogurt, so I know what you mean that it ain’t no fudge pop. Love the fudge smeared faces! I love chocolate and mint together. These look yummy! Yum! The photo of the girls is precious. 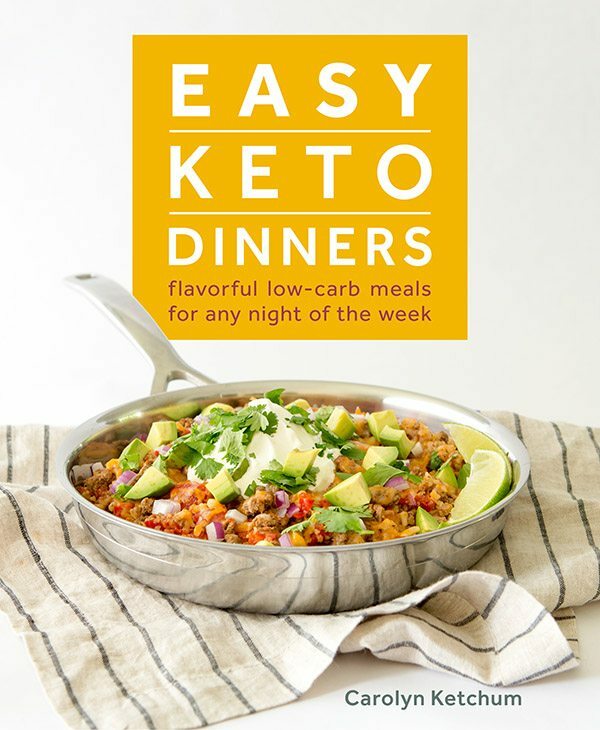 Unfortunately, my DD is lactose-intolerant, but your low carb recipes are the bomb! You can use almond milk and look around for a substitute for the heavy cream . Have you ever heard of these products they taste amazing . http://phillyswirl.com/products/. You are a genius! These look amazing…and chocolate and mint…yay! I just love that picture of chocolate covered faces – absolutely precious. What a treat! oh this is on my summer to-do list! I just made these and they were phenomenal! They tasted very much like the Theo Mint Dark Chocolate bars. Mine used Dutch processed cocoa and were thus much darker, as well as subbing in the same quantity of tapioca flour for arrowroot, as my arrowroot was mysteriously missing in my pantry. But even with those changes they were incredible – refreshing, creamy, very, very decadent. Excellent recipe and in my deep freezer, at least, they were set up and well frozen in three hours. super…but i must have missed this info’: how many carbs and calories are in these fudge pops? Hi. The carb count is there at the bottom of the recipe. I don’t calculate calories. Thanks! – could I leave the milk out and use just all cream? – what does the arrowroot do and can I leave it out?? – no way I can find peppermint extract here (Amsterdam, the Netherlands) so do you think I could use fresh or would the texture spoil it? Thanks again for your awesome site and recipes! I made your peanut butter flax granola yesterday and I LOVE it!!! Yes, you can use all cream. 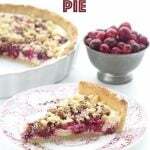 The arrowroot thickens the base and makes it have a creamier, richer consistency once it’s frozen. In its absence you could use cornstarch (they work the same) or xanthan gum if you can find it. The cream alone will be very thick so that on it’s own might help. If you want to use xanthan, let me know because you have to work it in differently and I will give you some directions there. I’ll go on the hunt for the forms on Wednesday (maybe my friend who has a store selling GB and USA products will have peppermint extract) and let you know how I got on. 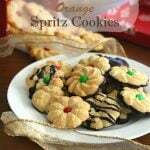 I have made these with and without the peppermint extract. The kids and I think they are better without it. Best fudge pops I have ever had and so easy!! Try dixie cups(or any small disposable cup) if you don’t have molds. It sounds fantastic, thanks for sharing! Oh my! The popsicles look perfectly delicious, and I want to try this recipe. Please advise how to use Xanthan instead of arrowroot. I know Xanthan is tricky to use sometimes – so your expertise would be much appreciated. Okay, if you don’t want to use arrowroot, here’s my suggestion. Follow the recipe as is, except for the arrowroot. Boil the mixture, etc. Once finished, sprinkle 3/4 tsp xanthan gum and whisk very, VERY briskly. Xanthan gums up very quickly so you need to be fast. I tend to sprinkle a little, whisk vigorously, sprinkle a little more, whisk some more…you get the pictures. Hope that helps! Thanks so very much Carolyn for your speedy response. If you are using xanthan gum instead of arrowroot powder, is it necessary to heat the ingredients? Yes, because the heating thickens everything a lot better. Plus xanthan gum will whisk into the hot liquid better. You are a GENIUS! These are amazingly delicious and I’m fairly certain I’ll be eating one every day! I just made these today (with 10 drops of NuNaturals liquid stevia with vanilla extract instead of peppermint extract) and OH MY GOD they are so good! I’ve tried various recipes for low-carb fudgesicles, including trying to make a low-carb version of an Alton Brown recipe, and these are far and away the best I’ve ever made. The texture and flavor are perfect. Thank you so much!! 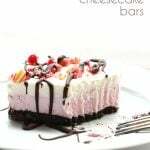 Hi Carolyn we make your fudge pops all the time, they are delicious! Do you think they would work just using greek yogurt and canned coconut milk for the base with the arrowroot? Thank you so much!!! It’s worth a try, but I can’t guarantee it. You definitely need to cook the arrowroot with the coconut milk, as that is what helps it thicken properly. Then add in the greek yogurt after it cools for a while. These are to die for. I made a single batch just to see what everyone thought about the recipe. My goodness! We couldn’t get enough. Now I make them in double batches all the time. These are absolutely the best! Thanks so very much for sharing! I just made these again, minus the mint, and added a couple of teaspoons of instant coffee granules (and a few extra drops of liquid stevia to compensate for the bitterness of the coffee), and oh my god they are so good! This is my go-to recipe for low-carb frozen goodies. Thank you! Thanks! They are infinitely adaptable and our whole family loves them! I have to try these… I’m attempting to cut back on sugar, or cut it altogether. These may be my new best friend. I made these and I used cornstarch instead of Arrowroot powder and we ended up getting a film in our mouths from them ?? Any ideas ?? No idea, as I would have thought the two were interchangeable. But maybe it’s the cornstarch. Can’t wait to try these. Thinking orange extract would be tasty also. I am a little late in finding this recipe…whoops about 5 years, lol. 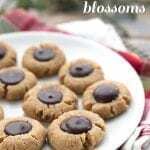 I see in the comments some are mentioning arrowroot used in the recipe. I have some of that on hand, but no xanthan. Did you change the recipe or just omit the arrowroot. If you just subbed out that ingredient, would I just sprinkle it like the xanthan in recipe. I originally mixed about 1 tbsp of arrowroot into it to help thicken. Sprinkle it in while the mixture is cold still, if you choose to use that. I just wanted to say that I LOVE this mix. 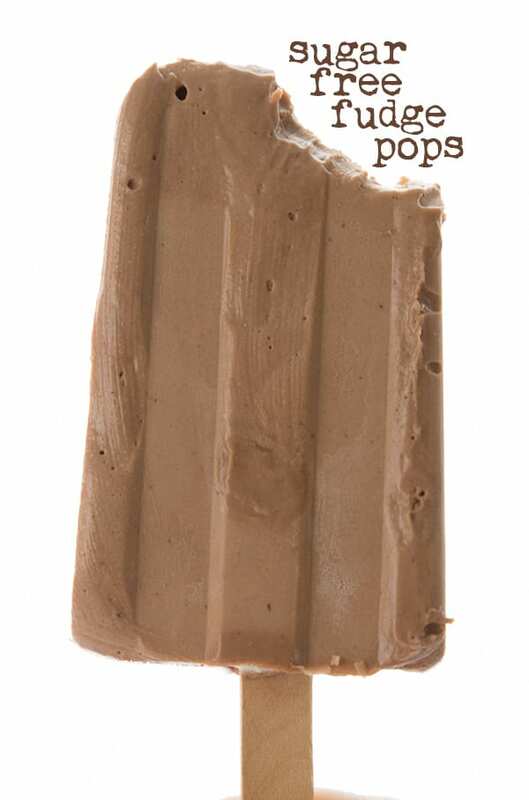 I made it with instant espresso powder and a little coffee extract for a mocha fudge pop. Could hardly wait for them to freeze. However I think the nutritional info is wrong? I am using the same stuff but calculated 4.5-ish carbs for 1/4 of the recipe, not 1/8. Which is better! Hmmm, I may have to look at that more carefully! Looks good. Where can I find forms like those? 0MG. I reserve 5 stars for only those recipes that are truly amazing. This is a 5*! I made the ‘mistake’ of licking the spoon before I added the peppermint, so I poured out half. I put 1.5tsp of vanilla extract in one half and the mint in the other half. Both turned out yum! So now I will also use this without the xanthan for hot chocolate this winter! Oh and I used skim cow’s milk instead of nut milk (green footprint) and it turned out fine. Next time I’ll use 18% cream to keep the fat lower too. Cheers! Delicious with r without the peppermint! Thank you!!!! In this and other recipes calling for almond milk, can coconut milk (beverage) be used instead? If you mean the thinner carton style coconut milk, absolutely. But not canned coconut milk? You could use canned coconut milk. OK, Carolyn, you have sold these to me, so I have ordered some moulds. Can you please clarify something which is puzzling me? You say in your pre-amble that each pop contains 1.6g of carbs but at the bottom of the recipe you say each serving has 4.24g of carbs. In the nutritional information it says total carbs 3.1g. I have the same question! 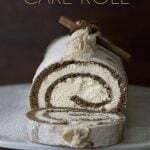 CanNOT wait to make these!! My keto kid, who’s a label reader, was just eyeballing fudge popsicles at the store this week! He’ll be thrilled to find these in the freezer! Hi, could you please tell me what the difference is in the refrigerated or the “on the shelf” almond mild is and which should I use here? You can use either. There is no real difference in them except in the way that they are packaged. Dietary Fiber 1.5g–that should be 1.6 Net Carbs, right? But the recipe also says: Serves 8. Each serving has 4.25 g of carbs (fiber is negligible). Could you verify? Thanks Carolyn! These look amazing! I’d like to make them, but I’m a little confused about the actual net carb count. Your recipe notes say: Serves 8. Each serving has 4.25 g of carbs (fiber is negligible). If the lower carb count is accurate, I’d love to incorporate them into my keto lifestyle. Thanks for your wonderful recipes! Perfect for kids! Thank you for this recipe! I made these yesterday and they disappeared. I am on my way out to the kitchen to make some more. I think these will be a staple in the freezer this summer! Hi. Looking forward to making these. Is it the confectioners or granular Swerve? Sure. It might freeze kind of hard, though. Thank you! These are wonderful. Even my husband loves them. These fudge bars are delicious. I have made the 3 times now. The last time around I added some espresso powder and they were amazing! These were so delicious! Glad there’s more in the freezer! Love so many of your recipes! Thanks for sharing!! Made this last weekend and they are the BOMB! 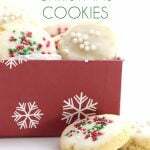 We are going to make a double batch this weekend! Im windering what it would tast like with some peanutbutter added (PMS wants to know.) Also.. if yoir genius kind couldncime up with a creamsicle version in Orange I will seriously kiss the ground you walk on! Cream cycle with orange juice is not keto though; way too many carbs here. Sorry but “not keto” is a bunch of baloney. 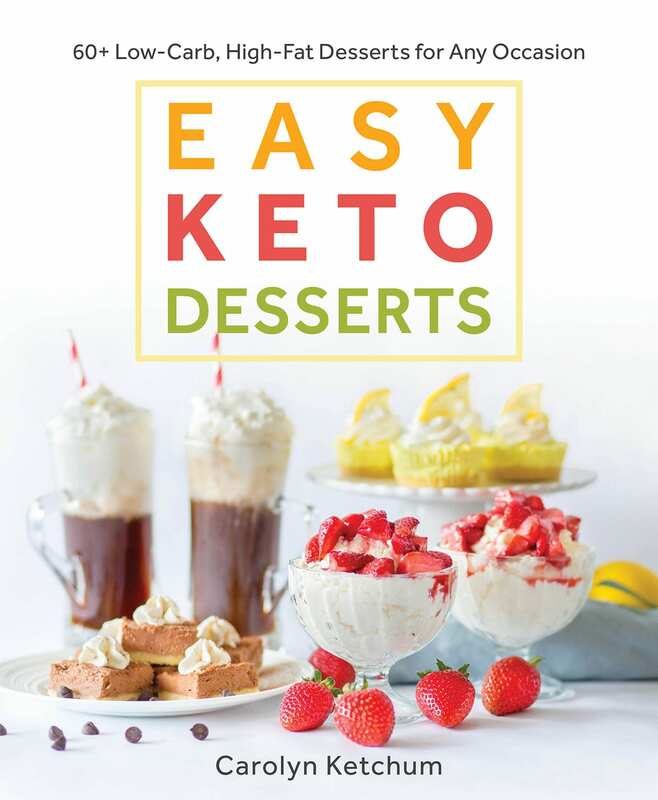 These are so low carb (not counting erythritol which doesn’t spike blood sugar) that they are indeed keto. They wouldn’t kick out out of ketosis unless you ate the whole batch! I’m allergic to casein protein in dairy do you think these would work using coconut cream? I made these the other day. They turned out awesome! Super creamy, chocolatey and delicious! It is very difficult to eat just one lol. Can you replace the Swerve with Stevia? In this recipe you should be able to but I am not sure of the quantities. OMG!! I totally and completely bow down to you! 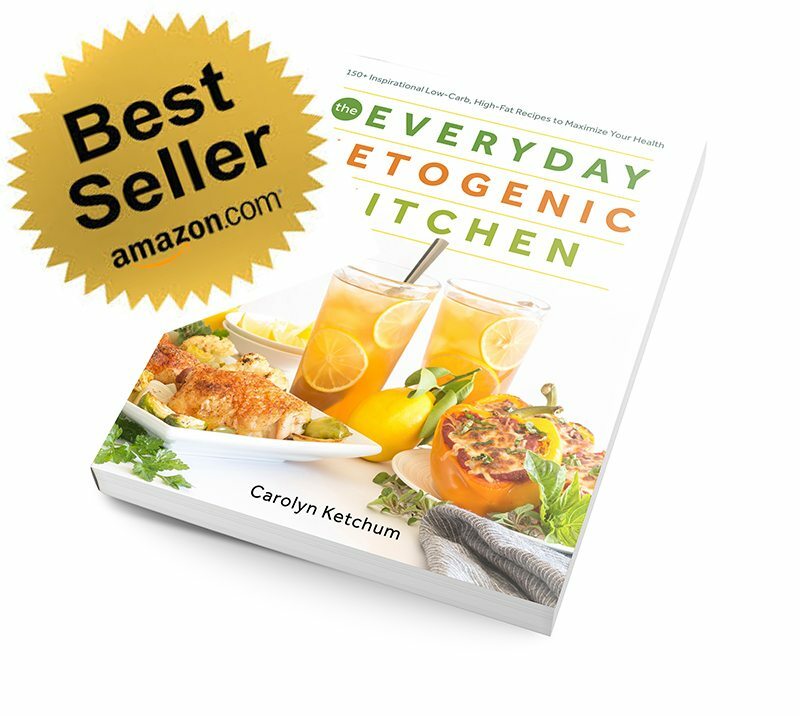 You are AMAZING and I can’t thank you enough for sharing your recipes and creating your cookbooks! I made these last night and feel like I’ve gone to heaven!! It’s so nice to be able to enjoy frozen treats without my blood sugars going through the roof!! 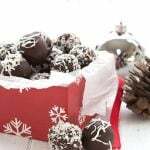 I used the special dark chocolate to make these and they are rich and so chocolate-y!!! Thank you, thank you, thank you!!!! I’m dying to make these, but I don’t have access to Swerve. Can I use Pyure instead? 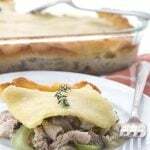 What can I substitute for the xanthan gum? Glucomanna or guar gum would be fine. Hi there! I LOVE this recipe! I’ve made it twice now. But question regarding the carbs. How are you getting this calculation? Swerve contains 4 carbs per tsp. So 1/3 cup should have 64 carbs, divided by 8 is 8 carbs for each popsicle just in the sweetener alone. Am I missing something important? Any clarification or help would be much appreciated. Feel like I’m going insane! 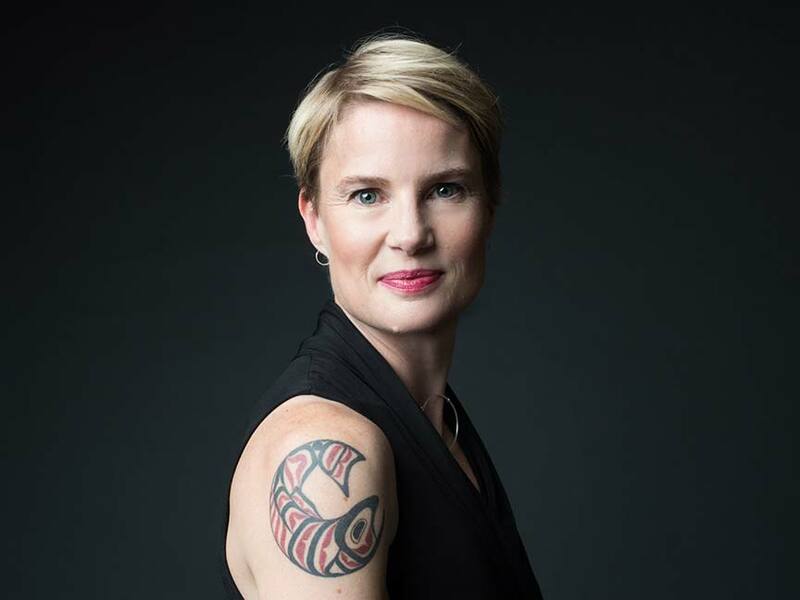 HI Rachael, I state very clearly in my nutritional disclaimer that I do not count erythritol carbs because they have zero impact on blood glucose. In my opinion they shouldn’t eve be listed as carbs. Most keto dieters discount them altogether.